During the recent global NCAP clash, the base variant of Renault Duster got a zero NCAP rating for adult occupancy tests. 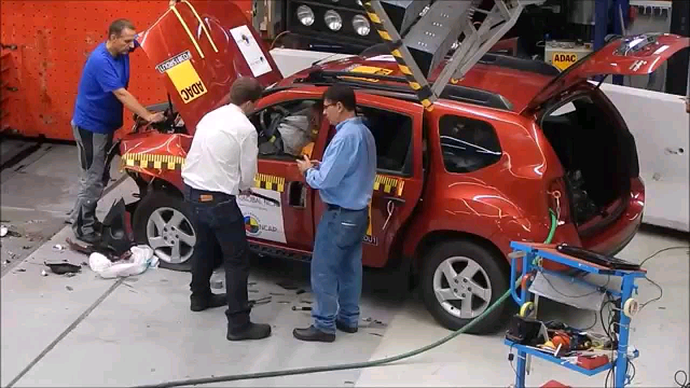 The test was conducted for Indian made cars. And the SUV also scored a poor rating with a 2 star on the child occupant test. Duster got tested in the second round for the crash tests while the first round saw the likes of ChevroletEnjoy and Ford Figo Aspire. Renault Duster is a standard mid range product for India, but the recent revealations show how bad the situation is for the standard Indian consumers. Most products in the Indian market are categorized with effect on the cost factor. And cost saving is a big thing in the automobile Indian Industry.